Hattiesburg High School Forensics was honored by the Mississippi Magnolia League and the National Speech and Debate Association this weekend at Oak Grove High School, host of the 2019 Magnolia District tournament. 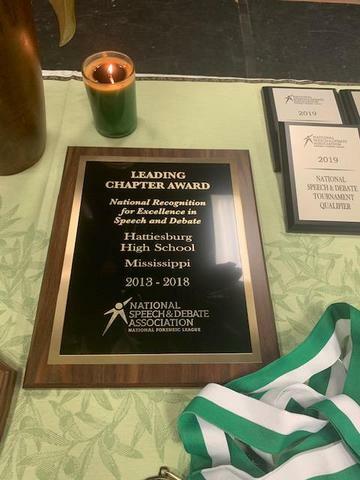 The team received the Bruno E. Jacob Leading Chapter Award for National Excellence in Speech and Debate. Hattiesburg High Forensics has won two national championships in the last five years and has had multiple national finalists in addition to another national student of the year making it the only program in the country to have produced two national SOY winners. Coach Waldrop has received the Key Coach designation from Emory University and the 2018 Directors Commendation and 2019 Gold Key Service Award from the National Speech and Debate Association. 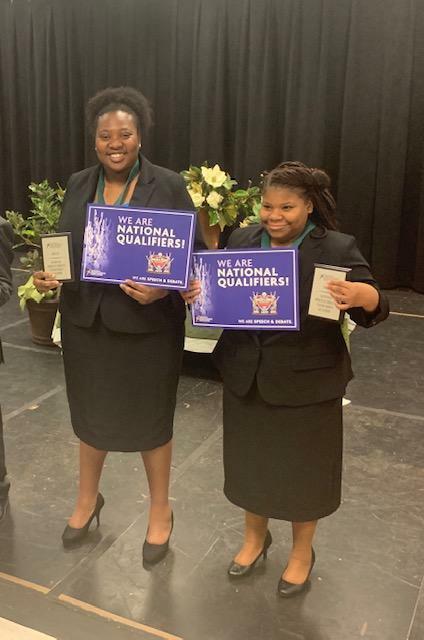 Senior Amber Hill and Junior Adonai Hill won the 2019 Magnolia District Championship in Duo Interpretation and will represent Mississippi in Dallas this June. Several Hattiesburg team members competed in final rounds.